But What Can I Eat? Many well-intentioned people, after reading books and websites or having food intolerance testing done, are left asking "What can I eat?" With all the conflicting information and all the research claiming that this food is bad for you, don't eat this, don't eat that, it is no wonder that eating well has become such a struggle. It doesn't have to be. The following guidelines will hopefully provide some clarity. every function and physical structure and for metabolic processes and detoxification. The saying "we are what we eat" is true on many levels. Protein is the building block for every muscle, organ and structure in the body. 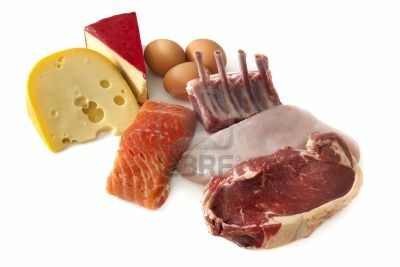 Protein is required for hormones, enzymes and other immune and hormone functions. It is important to eat various types of protein (meat, eggs, dairy, fish, nuts and seeds, and legumes) as part of a balanced diet. Learn more about protein . . . Vegetables contain needed minerals and fiber. They are essential in maintaining an alkaline environment. Aim for at least 6 cups of fresh vegetables a day. 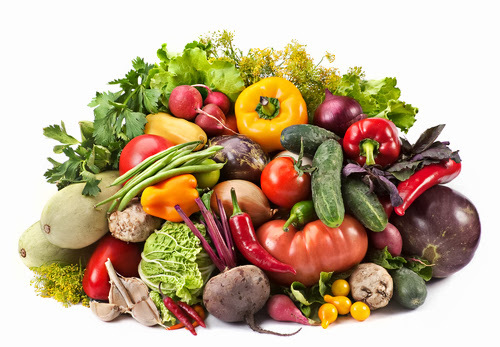 Learn more about vegetables .. .
Fruit contains needed vitamins, enzymes and fiber. Aim for 1 to 2 pieces of fresh, local fruit a day. Learn more about fruit . . .
Fats and oils are essential for the nervous system and to protect joints and organs. Some fats, such as trans fats, are best avoided, but omega 3 and omega 6 are considered essential fatty acids and must either come through fish and nuts and seeds or through supplementation. Learn more about fats and oils . . .
Grains are an essential fuel for the body and contain the highest amount of fiber. There are many different types of grains from rice, barley, quinoa, wheat, spelt, etc. Whole grains contain a range of nutrients including vitamins, minerals, protein, fiber and essential fatty acids. Processed grains are best avoided, but it is important to include some grains in your diet. Learn more about grains . . .
A healthy diet cannot exclude any one food group. In order for all bodily functions to occur, it is important that all nutrients be present in the right ratios for your health as each one is part of the puzzle and has a specific role to play. Eating healthy is not about choosing the best diet. It is about ensuring that you recognize the importance of every type of food and that you eat adequate portions of all food groups on a daily basis. There are a very few diseases or conditions that require a specific focus on one food group. Generally speaking, if you are looking for long-term, there is only one healthy diet - a balanced diet that is high in whole foods and that includes balanced portions of all food groups. If you were going to choose any diet, I recommend a label-free, whole-foods diet. Calorie excess, nutrient deficient. The primary cause of obesity and most illnesses in North America is a diet that is calorie excessive, yet nutrient deficient. This generally occurs due to a diet that is high in fast foods, processed foods (especially "white" products) and packaged foods and diets that have a lot of pop, juice and other sweet beverages. When nutrients are imbalanced in the presence of excessive calories, the body is programmed to store the excess -- almost as if it is waiting for the missing nutrients to balance things out. Calorie excess, nutrient excess. It is quite rare for someone to be both calorie excess and nutrient excess. When the body has the needed nutrients that it needs, it is not as likely to store the excess, or if it does store the excess it is less likely to result in chronic diseases. When a diet is balanced, the internal programming is to excrete what is not needed. Calorie deficient, nutrient deficient. A calorie deficient, nutrient deficient diet will result in the body down-regulating. Bodily functions will literally slow down as a way of reserving the use of energy. A person's constitution and the specific makeup of nutrients will determine in what way the "slow down" manifests. For some it will show up as hair loss, weak nails or skin, for others as developmental delays or cognitive decline and for others it will result in disease of some sort such as cancer or autoimmune disease. Food has gone through a number of changes over the years. For the majority of people, food is not based on what you hunt, gather and grow. It is instead, what you pick up at the market or store. It is important to keep in mind that most alterations of food are done to make it more appealing. Other than some natural food preservatives, it is not done to make food more healthy. By choosing whole foods you will be limiting your exposure to food additives and food colourings. By choosing organic food you will limit your exposure to harmful herbicides and pesticides and genetically modified foods. The following factors impact what food you should eat. Your Constitution determines what makes you unique. There is a tendency to evaluate food as "good" or "bad", when in reality what you want to do is to look at whether a food is good for you or not. Your constitution, your individual food sensitivities and allergies, and everything else that makes you unique is what determines whether or not a particular food is healthy for you. It is not about the food itself. Check out my blog on How Do You Achieve Health, for more about this. Temperature Outside - a general rule of thumb is that the temperature of your food should be opposite to the temperature outside. This is especially true in the winter for those people that tend to be cold or for those that have conditions that are worse in cold, damp weather. Check out my blog on Healthy Fall and Winter Eating. Movement. The more active you are the more nutrients that you will burn through. Many people associate being active with needing more protein, when in fact what you require is more water and more minerals. Health Status - What is ideal for you to eat depends on your level of health. Eating is one of the best ways to help the body function. It is meant to change based on what is going on at any particular time. During acute illness, such as a cold or flu, it is best to drink a lot of fluids, consume non-dairy, non-wheat soups (like chicken soup) and to rest and stay warm. Check out my blog on Prevention and Management of Colds and Flu. Digestion works best when a person is relaxed. When under stress or when rushed it is better to have smaller meals and to eat foods that are easy to digest. The ideal diet for most chronic conditions, such as diabetes, hypertension, high cholesterol, arthritis, etc is a whole foods diet customized to your unique constitution. There really is not a specific diet for each condition. Only a few conditions, such as cancer, require a specific diet for a period time to help a person undergo treatment or to support the body in making a physiological shift. I encourage you to see food as a wonderful way to help you manoeuvre through the twists and turns of life. What you eat is meant to change based on age, season, health status, activity level, etc. By seeing food as fuel for the body and understanding the properties of food (i.e., heating versus cooling) and the specific nutrients you get from food it is easier to work with your food to achieve health. When people want to become healthier the focus is often about removing "the bad" out of their diet. There is a lot of merit to this, but I encourage you to put an even greater focus on adding in "the good". Adding in more water, vegetables or even different types of vegetables, or adding in some nuts and seeds or lean protein is often mentally and physically more appealing than removing or feeling restricted in what you can eat. There is a nice video on Netflix called "Hungry for Change" that I encourage you to watch. If you question whether or not your diet has been balanced, you may want to do some testing for mineral or protein levels, or to assess overall metabolic functioning. Most of this testing is either done through hair or urine. There are a number of ways that your naturopathic doctor can assist you in determining your overall status for each nutrient category and ways to address any imbalance. Assess how you are currently eating and decide on what needs to change. Start adding in whole foods. Follow the 80/20 rule. Choose meals based on whole foods at least 80% of the time. Eat foods from every food group on a daily, weekly basis. See food as a way of achieving health and modify what you eat based on what is going on with you at any particular time. Take the time to enjoy food and to see it as your partner in health. If you have any questions about food talk to one of our naturopathic doctors. How Do You Achieve Health? One of the challenges with achieving health now a days is that the focus has become on evaluating endless different factors such as - what diet is best, is salt good for you or is it bad, the benefits of dark chocolate, the importance of going gluten-free, the impact of GMOs and organic food and the list goes on. If you truly want to achieve health you need to study yourself. What are your unique susceptibilities? What is your constitution and your age? What is your family health history? What factors are impacting your health? What incidents, accidents or events have impacted you throughout your life? What underlying health concerns are you dealing with? What is your current lifestyle like? 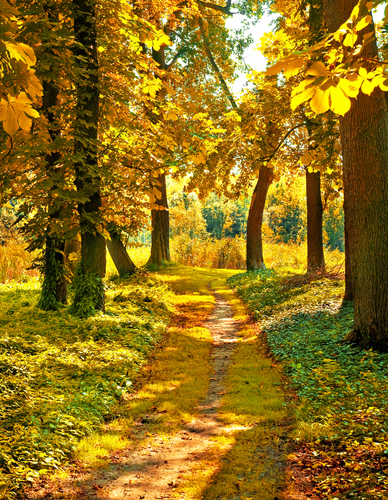 Do you feel that you are on the right path in your life or are you struggling on a daily basis just to get by? There are two main factors that are making achieving health much more difficult than it needs to be. I refer to them as "Headline Healthcare" and "Intellectual Health"
The Benefits of Coffee. The benefits of coffee has received a lot of attention lately. Some articles even recommend that up to 10 cups of coffee a day is good for you. Almost all of the article that spew the benefits of coffee miss the other half of the story. They don't mention that high doses of coffee deplete the body of minerals, the association between coffee consumption and insomnia or anxiety, the fact that some individuals are intolerant to coffee or that coffee can add to adrenal fatigue. Whether or not coffee is good for you and how much coffee is good for you can only be determined by how you personally respond to coffee, not by what the media or research claims to be the benefits of coffee. The Salt Story. I have written a lot about salt and sugar in past blogs. Salt is one of the most misunderstood nutrients. It has a number of essential functions, but there are also a number of considerations. Generally speaking, those with high blood pressure are best to avoid salt; whereas, those with low blood pressure or decreased thyroid function require moderate amounts of salt. In August a report came out claiming that low salt diets might actually be harmful. This report was in direct contradiction to previous studies that had been published. The commonality with both positions is that they made a claim about SALT without providing any logic or linking salt intake to specific individual characteristics or to the ratio of sodium to potassium. Whether or not salt is good or bad for you, how much you need and how it impacts health depends on you. It is not about whether salt, itself, is good or bad, it is about whether it is healthy for you. Organic Food Dilemma. The rationale for organic was driven by the recognition of the harmful impact of pesticides and herbicides on the grains, fruits and vegetables that we eat. Over time the headlines about organic food has focused more about the nutritional differences between organic and non-organic foods, totally missing the main concern. Everything is a headline. It is important to stay informed, but I caution you about basing your health decisions on a headline. The motivation for me creating the website www.ndhealthfacts.org was to provide a balanced perspective on health-related conditions and topics.Moderation is key, but even more important is individual's basing their health decisions on whether or not something is good for them; not on whether or not a particular food or ingredient, itself, is good or bad. There are very few things that are "good" or "bad" -- except maybe pop and sugary candies. Soda pop and sugary candies are the the only things (I dare not call them a food!) that I strongly recommend people stop consuming. The most common advice that I give patients is to pay attention to their body. To look for a cause and effect between symptoms and their life. Too often people make decisions about their health based on what they believe to be true on paper; putting more emphasis on what they read versus what they personally experience or what is relevant for them. Health and disease are logical. They are, too a large degree, an accumulation of our life. Our body talks to us, gives us feedback, in the way of signs and symptoms. Your personal experiences and symptoms will typically be more relevant for you than anything you read. Whether you are suffering with headaches, sinus congestion, gas and bloating, joint pain, insomnia, anxiety, or chronic diseases such as diabetes, hypertension, high cholesterol or even cancer there will be a reason why. And that reason generally relates to your life starting with your unique constitution and health history and including what you ate (or didn't eat), how hydrated you are, your level of stress, your activity level, how you are sleeping, any accidents or injuries you have had, etc. The more you can see the link between your daily life and your symptoms, the more control you will have over your health. Too often people seek answers in a book or on the internet for reasons why they have a symptom. Reading helps give a person a range of things to assess, but the real answers will come from you. Often I find that people have spent a lot of time and money chasing different treatments based on what they read, versus really understanding them self. The most profound health changes generally occur when a person learns what to change in their daily routine or what they have to specifically address for them self, such as their lifestyle, how they handle stress, or the impact of heavy metals and environmental chemicals or food intolerances. For example when a person makes a connection between their chronic sinus infections and their dairy or yeast consumption, or between chronic neck pain and how they hold the phone while talking, or the realization that their constipation is due to chronic dehydration then real permanent change can occur. Listening primarily to your body, versus what you read, often means that you will be taking less supplements and will have a greater understanding and control of your own health. Even as write this blog I recognize that I am trying to simplify health as I am explaining that it is too complex to be broken down into a few simple guidelines. Naturopathic medicine is responsible medicine. It recognizes the complexity of health and the link between health and a person's life. Naturopathic doctors spend four-years full-time studying naturopathic medicine, after having achieved a University degree. The accredited naturopathic programs in North America are about 4500 hours. Graduates are expected to continue to study as there is so much to know. Learn to listen to your body. Welcome symptoms as a way of providing you feedback and helping you understand what is best for you. Recognize that health is best achieved when all aspects of an individual are addressed - the spiritual, psychological, functional and structural. The more time you spend assessing and truly understanding the cause of a symptom or condition the easier it is to treat or manage. Know your constitution and your personal strengths and weaknesses and ensure that your treatment approach is based on supporting your strengths and addressing your weaknesses. Ensure that you work with naturopathic doctors or health professionals that you trust, that understand you and that are able to work with you as an individual. Regular blood work and other labs are an important aspect of preventative medicine and healthcare management. Naturopathic doctors will often recommend labs or tests that are aimed at identifying the causes of disease, versus just the presence of disease. Food intolerance testing, heavy metal or chemical testing, mineral status, and many others can be very valuable in figuring out the true causes behind symptoms and conditions. Most importantly, to achieve health really focus on understanding yourself and making decisions that are best for you. No two individuals are the same. There is no ideal treatment for any one condition. The most important variable and consideration is you. Naturopathic medicine is responsible medicine. It addresses all aspects of an individual and it puts a tremendous focus on individualized treatments and identifying the true causes of disease. To learn more talk to Dr. Iva Lloyd, ND or check out her books "Messages from the Body, a guide to the energetics of health" or "The Energetics of Health, a naturopathic perspective". Gluten Free - Have we gone too far? Healthy eating is becoming quite a challenge. It doesn't matter where we turn there appears to be a problem with everything. There is a concern with the casein and hormones in cow's milk, there are too many hormones in chicken, butter and eggs, fish has too many environmental toxins, foods are becoming genetically modified, there are too many chemicals and pesticides on fruits and vegetables and then there is the ongoing problem with wheat-based products and gluten. Like all things, the concern with gluten contains a bit of truth and bit of fiction. The most relevant piece that is often missing is the individual. What constitutes "healthy eating" is unique to each individual. It depends on a person's unique susceptibilities, their age, vitality and health status The motivation for this blog is that I work with a number of patients that are going to the extreme with respect to being gluten-free, thinking that they are making a healthy choice, yet they are actually worse off. Sometimes the issue that needs to be addressed is a yeast intolerance, sometimes it is an overall imbalance in nutrients, and sometimes it is about bringing back moderation into a person's life. Hopefully this blog will shed some light on the issue of gluten and deciding what is best for you. high consumption of wheat-based products increase a person's taste for refined carbohydrates, resulting in an increased risk of a number of chronic diseases. So yes, the concern for wheat and gluten is real. But is the right answer to have everyone avoid it? Read on . . .
What is the difference between wheat, gluten and yeast? 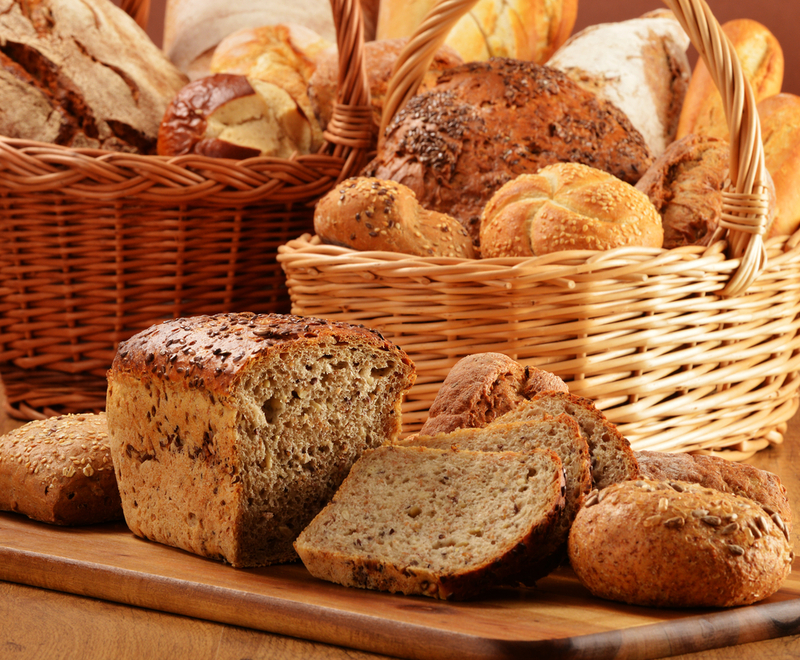 Gluten is a protein found in certain grains including wheat, spelt, kamut, rye, barley and others. Baker's yeast is a strain of yeast used as a leavening agent in the baking industry. In other words, it helps bread rise. It converts the fermentable sugars in the dough into carbon dioxide and ethanol. What are the type of food reactions associated with wheat or gluten? Sensitivity or Intolerance is considered an IgG food reaction. It refers to a delayed food reaction based more so on the frequency of consumption than on the quantity. The majority of people with symptoms to wheat-based products actually have a sensitivity or intolerance to gluten, wheat or yeast, not necessarily full-blown Celiac Disease. Celiac Disease is an IgA autoimmune reaction. When it is genetic, it is generally diagnosed before the age of 4 years old. It can also develop over a lifetime and generally appears in a person's 40s. It often develops as a result of a gluten sensitivity that is ignored, excessive consumption of gluten, general nutritional deficiencies and chronic stress. A true allergy is considered an IgE reaction. A true wheat or gluten allergy is rare. The immune response to wheat and gluten that causes symptoms and diseases is not related to the IgE response, but to the IgA and IgG reactions. What are the reasons for wheat / gluten reactions? You can be born with a reaction to wheat and / or gluten. It can be introduced too early into an infant's diet which, if they do not have the proper enzymes to break it down, can result in an ongoing sensitivity or even Celiac disease. Grains, or any food for that matter, that have been chemically altered are not as easily digested or handled by the body. If wheat, gluten or yeast is consumed in too high a quantity it can result in increased sensitivity and progression to more serious food reactions such as Celiac disease. Much of the focus on gluten-free has been about the genetically modified aspect of grains. Although that is a concern, my experience as a naturopathic doctor is that the over consumption of grains in the diet is a major problem and is one that is much easier to control. There are many people that consume a diet that is 50 to 75% grains. Grains were never meant to be consumed as a major part of every meal. Food sensitivities to other foods, such as dairy, yeast or eggs, can result in an increased risk of wheat and/or gluten reactions. Gastrointestinal problems, such as IBS, Crohn's disease and others are associated with an increased risk of reaction to wheat and/or gluten. You are more prone to a gluten sensitivity if you have a weakened immune system or if you are under chronic stress. Food reactions are an immune response. Chronic stress weakens the immune system. All food reactions are intensified when a person is stressed or is unwell. Poor nutritional status, especially as it relates to mineral and protein deficiencies and chronic dehydration also increase your susceptibility. Environmental toxins can result in or aggravate food sensitivities and autoimmune diseases like Celiac. Mood disorders such as anxiety, depression, mood swings and ADD/ADHD. How do you determine the type of reaction that you have? If you want to know if you have Celiac disease, the most severe type of gluten reaction, it is best to do the test before you remove wheat from your diet to ensure that the results are accurate. You can do a Celiac blood test that looks for three markers an Anti-Tissue Transglutaminase IgA (tTg-IgA) and Anti-Gliadin IgA and Anti-Gliadin IgG. An IgG blood test can provide information on your degree of sensitivity to gluten and other foods. Generally there are about 100 foods included in a food panel. Doing an IgG food panel can provide information on how reactive you are to food in general and can assist your naturopathic doctor in creating a more targeted treatment plan. An IgA blood test will provide information on the level of inflammation of the gastro-intestinal tract. Often when a person has developed Celiac disease as an adult there are other underlying conditions that need to be addressed as well. An IgA blood test, along with an IgG blood test may yield more accurate results for those that are at risk for an autoimmune disease, for really active individuals and for those that have been under extreme chronic stress for a long time. The Intestinal Permeability test provides a look at the inflammation and damage to the gut and it tests for the two genetic markers, HLA-DQ2 and DQ8, which are positive in about 99% of those with Celia. Endoscopy and biopsy are surgical procedures that are considered the gold standard for testing for Celiac. They do provide an accurate diagnosis, but they are invasive and are associated with their own risks and limitations. Why is it important to determine the type of reaction that you have? Although the symptoms of gluten intolerance and Celiac disease are similar, they are distinct physiological reactions in the body. A person that has confirmed Celiac disease needs to avoid gluten and gluten-based products. A person with a gluten sensitivity may need to dramatically restrict their consumption of gluten, but not necessarily avoid it. Some people feel better when they cut out the bread, pasta, pastries and other wheat-based products and are convinced that they have discovered that they have a gluten sensitivity. Yet in reality, they feel better because they have dramatically cut down their consumption of yeast or because by cutting out the bread and other wheat-based foods they have re-established a more balanced diet. The depth and breadth of treatment required depends on an accurate diagnosis. One of the biggest misconceptions that I have seen in practice is that individuals that are diagnosed with Celiac disease feel that all they have to do to get well is to avoid gluten. Celiac disease is an autoimmune disease. Avoiding gluten is an important step. Yet, there are many other things that need to be done to establish health. Use objective blood tests and other diagnostic tests to determine your true type of reaction and the specific foods that are a problem. Avoid all foods that you show a food reaction to for at least three months to allow time for your gastrointestinal system to heal. Some individuals need to avoid offending foods for a couple of years to allow time for their system to heal. If you start introducing foods too early you will find that your level of reaction to foods will still be high and your symptoms will return. During the stage of removing foods, do NOT introduce gluten-free foods or grains that you are not used to. Rice and starchy vegetables are generally OK. It is best to stick to whole foods and avoid processed foods. The rationale for avoiding starchy vegetables and rice, even for those that do not show any reaction, is often about weight loss, not healing the digestive tract. Increase the amount of fresh fruits and vegetables in your diet and ensure an adequate amount of lean protein. The body needs foods from every food group in order to heal. Work with your naturopathic doctor to determine what additional supplemental support is needed to heal your digestive tract. Herbs to heal the gut and probiotics are generally required as part of a treatment regimen. Reintroduce in moderation -- a couple times a week, maximum once per day. The amount of introduction of any specific food will depend on your health status and your level of food reaction. For those with confirmed Celiac disease it will mean complete avoidance. For those with moderate gluten or wheat sensitivity it may mean restricting the consumption to a couple of times a week. For those with compromised digestion or low stomach acid, it may mean supporting the digestive system with digestive enzymes or choosing grains that are sprouted and/or yeast free. Not all grains are the same. Spelt, rye and some wheat-based varieties such as Einkorn-wheat are not as genetically modified. These grains also have a higher nutritional content. If you are avoiding wheat as a way of reducing your exposure to GMOs and other "man-made" foods, there are options out there. Most importantly, listen to your body. Pay attention to the symptoms that you have. When it comes to digestion and health, the best thing that you can do is become your own detective. If you have a reaction -- any reaction --- gas, bloating, headache, dry mouth, etc -- figure out why. The more you figure out what specifically bothers you, the greater the range of food that you can enjoy. Avoid eating foods that you know you react to. Once or twice a year take a month and go back to Step 2. Including time for digestive healing on a regular basis is a great way to avoid chronic disease and worsening of symptoms. Many individuals do well to support their digestive health on an ongoing basis, especially if the digestive tract is an area of concern for a person. Your naturopathic doctor will give you an idea of what supplements are best for you to ensure ongoing support. Avoid wheat & gluten-based products as a snack, especially with children. Limit your consumption of gluten-based products to a maximum of once a day. Choose gluten-free products made from whole grains such as quinoa, rice, amaranth etc. It is important to read all ingredient labels and ensure that what you are eating is still primarily made from whole foods and not "chemical soup". Avoid ALL gluten-free products that contain starches, such as corn starch, tapioca starch, potatoe starch, etc. These starches are associated with a dramatic increase risk of diabetes and obesity. Many people also show food reactions to gluten-free products. Replacing wheat products with gluten-free products at the same level of consumption is not healthier. In fact, it can actually be worse for you. Recognize that your reaction to the different forms of grains may not be the same. The following link provides a look at the nutritional content of different grains. Avoid grouping grains all into the same category. Avoid meals with grains and starchy vegetables (like potatoes, yams, beets, carrots, etc) combined. For example, if you are having potatoes or roasted vegetables as part of your meal avoid serving rice as well. 50% of your diet should be vegetables. Consume three to four times the amount of vegetables to fruit. Ensure adequate lean protein is part of every meal. Choose healthy fats on a daily basis. Limit your grain consumption to a 1/4 of your daily diet. It is important that you make your health decisions with YOU as the central focus -- not a food or a diet. For more information on how to assess and/or minimize your reaction to food, contact our clinic to set up an appointment with one of our naturopathic doctors. Read more articles written by Dr. Iva Lloyd, ND. Check out www.ndhealthfacts.org for information on this and other health-related topics. lack of fruits and vegetables in the diet. The factor that is often overlooked or negated as being that important is an extreme current stressful situation. Individuals at greatest risk are those that tend to hold their emotion in. The emotions of greatest concern are anger, frustration, a sense of inappropriateness or injustice, hostility or a sense of urgency or pressure that is overwhelming. The type of stressful situations that seem to have the greatest impact are situations that take a person off-guard or that are outside of the normal stress that a person is used to dealing with. Other situations are where a person is "on-hold" or is "sitting-on-the-fence". The first connection between stress and cardiovascular events was discovered in situations of hurricanes, natural disasters, terrorism, etc. The first step for most individuals is to realize how upset or worked up they are at any given time. The next step is learning to express emotions or to dissipate them through exercise or other activities. Once emotions have been dissipated, it is beneficial for individuals to have some form of meditation, mindfulness or relaxation that will assist in calming down and relaxing both their body and their mind. A general rule-of-thumb is that it is important to dissipate emotions before you calm the body down or distract yourself with other activities. During times of stress it is helpful to watch what you eat and drink more carefully. Many people "add to the problem" by eating and drinking foods that increase their blood pressure and hence their risk. When under stress, it is helpful to avoid that extra cup of coffee or alcohol and to choose a healthy meal over one that is high in salt or fat. If you have hypertension it is valuable to take your blood pressure when you are "worked up" to truly understand how your blood pressure reflects or is impacted by the stress in your life. Also, learning how to dissipate acute stress can be very effective in preventing a serious cardiovascular event. If you want to learn more about how to handle stress differently so that it doesn't have such a profound effect on your health talk to Dr Iva Lloyd, ND. Cardiovascular disease is one of the most common causes of death in North America. For the most part, cardiovascular disease is preventable. It depends slowly over time due to lifestyle, chronic stress and environmental factors. 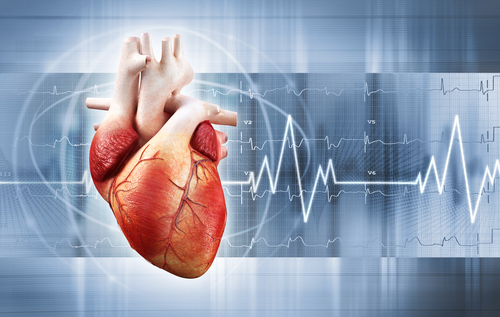 Although prevention of heart disease is the primary goal of naturopathic medicine, there are many naturopathic therapies that are very effective in the treatment of disease as well. Cardiovascular disease can be grouped into four main categories: generalized cardiovascular disorders, disease of the heart, peripheral vascular disorders and blood disorders. Insomnia, shortened sleep cycle and disrupted sleep can all contribute to heart disease. Chronic stress is a contributing factor to cardiovascular disease. It is also commonly associated with cardiovascular events such as stroke or heart attack. Environmental toxins, such as heavy metals and chemical contribute to the development of heart disease. Air and water quality also play a role. Pathogens, such as viruses and bacteria can result in acute and chronic cardiovascular disease. Smoking, both first-hand and second-hand, is associated with increased risk of cardiovascular disease. Genetics can play a role, especially if a parent or first-degree relative experienced a cardiovascular event early in life. Prescription medication is commonly associated with chronic cardiovascular disease. 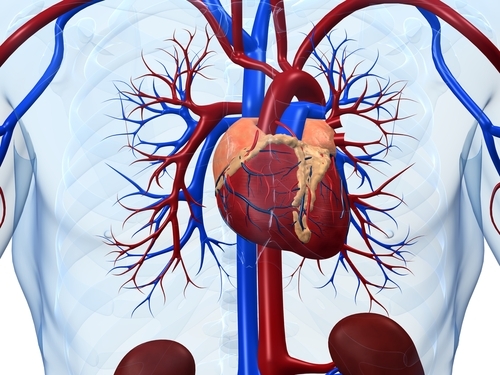 There are a number of conditions associated with cardiovascular disease. When treating or preventing cardiovascular disease it is often important to address these conditions as well. If you have a family history of heart disease or would like to assess your risk for heart disease talk to your naturopathic doctor about the tests above to see if they are appropriate for you. Determine the degree of health risk and stage of disease. Addressing the lifestyle factors such as diet, movement, water intake; stress and environmental factors needs to be part of every treatment strategy - whether one chooses naturopathic treatments or conventional treatments. balance out and address the side-effects of many cardiovascular medications, such as those taken for hypertension or high cholesterol. The advantages of the naturopathic approach to heart disease is that it focuses on treating the causes of disease, it recognizes that integration of a person's lifestyle and environment with their health status and it utilizes effective therapies without many of the side-effects of prescription medications. For more information on how naturopathic medicine can assist you in achieving and maintaining a healthy heart talk to one of our naturopathic doctors. Assessing your true cancer risk is not just about diagnosing cancer early, it is also about preventing cancer. Cancer prevention requires a belief and an understanding that cancer is logical, it happens for specific reasons. Cancer is not random. Health and disease follow the same laws as nature. A person's body reacts and responds to everything they encounter, they inhale, they ingest and what they think. At the risk of simplifying the causes of cancer, cancer (like most diseases) occurs because the body can not keep up with the innate repair process. The body, or more specifically, parts of the body start to break down. Where cancer "hits" a person will relate back to the factors in a person's life, and will be affected by a person's specific susceptibilities. Each person has their unique susceptibilities and areas of weakness. A person's genetics, constitution, occupational exposures, history of illness, medications, where they grew up, lifestyle habits, etc. all determine the most likely areas of a concern for a person. Assessing your areas of susceptibilities involves working with a naturopathic doctor and completing a detailed intake, laboratory testing and physical exam. A thorough understanding of a person's susceptibilities helps to narrow down the factors that are most likely contributing to a person's health concerns. Lifestyle factors that are most commonly linked to cancer include such things as smoking history and alcohol intake, but it also includes dietary habits and level of hydration. Smoking is a known cause or contributing factor for many types of cancers such as lung cancer or pancreatic cancer. A diet low in fiber is associated with colorectal cancer. Dehydration impacts the body's ability to get rid of toxins and weakens the protective membranes of the body. The importance of addressing lifestyle factors increases dramatically when a person has cancer or is undergoing cancer treatments. Severe infections or lingering infections can cause cancer if they are not properly managed. For example, Helicobactor pylori (H. pylori) can be a contributing factor to Stomach Cancer, Epstein Barr virus (Mono) has been linked to different lymphoma-type cancers, hepatitis virus has been linked to liver cancer. If you have had a history of severe infections then it is important to ensure that you are addressing the immune system (such as taking herbs) as part of your treatment strategy. Severe infections can contribute to cancer primarily if the infection was never properly resolved. For example, having H. pylori and treating the symptoms with a prescription for heartburn versus identifying and addressing the underlying infection can leave you at risk for stomach cancer. environmental chemicals such as PCBs, phthalates and bisphenol A and others are linked to breast cancer and other cancers. statin medications taken for high cholesterol are often associated with a decreased risk of some cancers, such as colorectal cancer; but there is also a concern that statins increase the risk of breast cancer. X-radiation and gamma-radiation have been linked to a number of cancers including thyroid cancer, breast cancer, lung cancer and leukemia. The risk of developing cancer depends on a person's age and the degree of exposure. Younger children, for example, are at greater risk for thyroid cancer whereas the risk for lung cancer increases with age. The use of X-rays and other radiation exposure should be minimized. A sedentary lifestyle has been associated with increased cancer risk for specific cancers such as thyroid cancer. The body needs to move on a regular basis in order to assist in the removal of toxins and to ensure that nutrients are distributed throughout the body. It is also important to move on a regular basis to ensure that you can continue to move throughout all your life. Although stress is associated with increased risk of cancer, it is not just about being busy or having too much too do. When looking at the stress in your life, I encourage you look at it from three perspectives - intensity, duration and impact. Stress is generally a concern when the intensity, duration or impact are severe. It is not the stress itself that contributes to cancer, but how it is handled. Learning how to handle stress versus suppressing it or distracting yourself from it can dramatically improve health and prevent all types of diseases, including cancer. Check out the American Cancer Society's website for a listing of known and probably human carcinogens. Carcinoembryonic Antigen (CEA) markers are specific for cancer. CA15-3 is often used to assess or stage breast cancer, CA19-9 is used when assessing for pancreatic or colorectal cancer. CA-125 can indicate risk of ovarian cancer. Complete Blood Count (CBC) is a standard blood test that is used to assess for infections, anemia, red and white blood cell status, and it can indicate the presence of specific cancers such as leukemia. Liver Function Tests including AST and Alkaline phosphatase. Environmental testing using urine or hair can indicate if environmental toxins are a risk factor that needs to be addressed. Cancer tumor markers are available to assess for a wide range of different cancers. An area of tremendous research over the last 10 years has been on early cancer diagnosis. As such there are a number of different lab tests that have been developed to provide insight in the mysterious field of cancer diagnosis. Talk to one of our naturopathic doctors about the lab tests that are available. Take a good look at your unique susceptibilities and your lifestyle. Addressing your susceptibilities is often the first step. For example, if you have a history of digestive issues it is important to ensure that you know how to probably support your digestive health and ongoing healing. Improving your lifestyle may not prevent cancer, but it can go a long way in the treatment and recovery from cancer. Assess for environmental toxins, including heavy metals and environmental chemicals. Avoid exposure to these toxins as much as possible in your home and work environment. If you do have ongoing exposure, or a history of exposure, work with your naturopathic doctor to address this concern. Support you immune system on an ongoing basis. If you have a history of severe infections or have a weakened immune system work with your naturopathic doctor. Take a look at your medications and ensure that you are well informed of the risks associated with each one. If possible, look for healthier alternatives if there is a concern. Talk to your naturopathic doctor about the laboratory tests that may be beneficial for you. To learn more about cancer prevention or assessing your individual cancer risk talk to one of your naturopathic doctors. If you or someone you know has cancer, check out our website on our approach to supporting and treating those with cancer.